Enjoy the top 3 famous quotes, sayings and quotations by Annastacia Dickerson. For me, the times that I dressed provocatively had been empowering. It felt good. It's those times that I felt comfortable in my own skin. Like really, really comfortable. And let's face it, body self-esteem issues are a hurdle many women struggle to overcome. So when a person tears a woman down for how's she's dressed, they are tearing her down at a moment she feels at the top of her game. That's where the real shame is-not in how a woman is dressed, but in the desire to minimise her self-worth and empowerment. That's not kind, or well meaning. It's rude and cruel. 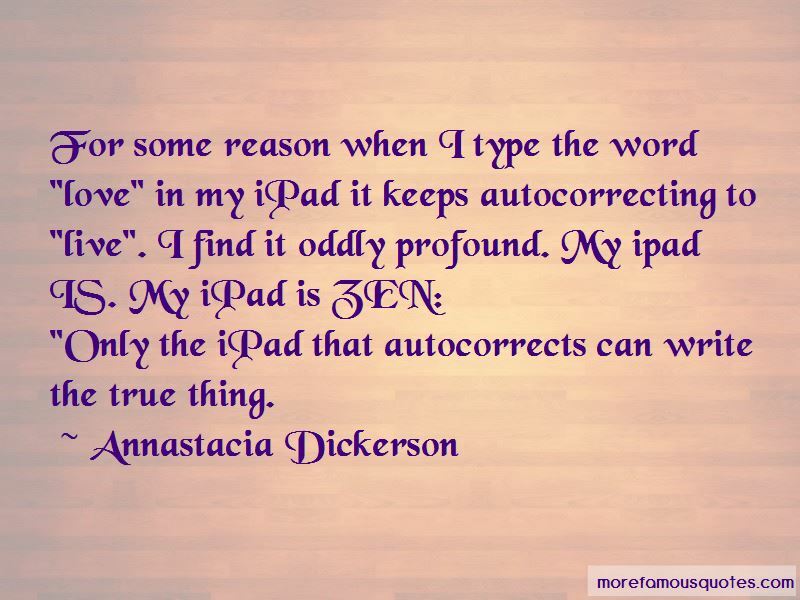 "Only the iPad that autocorrects can write the true thing. I have often wondered if the irrational fear some men have of women that incites them to subjugate and oppress the female species begins in the adage: I brought you into this world, I can take you out! Want to see more pictures of Annastacia Dickerson quotes? 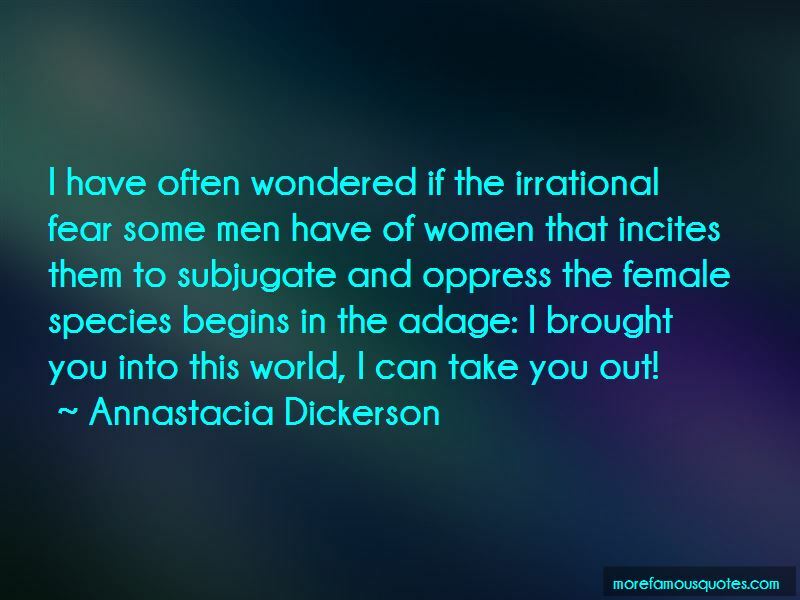 Click on image of Annastacia Dickerson quotes to view full size.